The study programme in Mechanical Engineering provides students with the knowledge of equipment design, manufacturing, maintenance, operation, and other. For contemporary enterprises, modern production or processing as well as their control technologies are of primary importance. Therefore, they need highly qualified specialists knowledgeable about the contemporary production and processing technologies, the equipment, and the principles of its control, who are able to independently conduct research topical for the process of production, to summarize the findings, and to implement them. 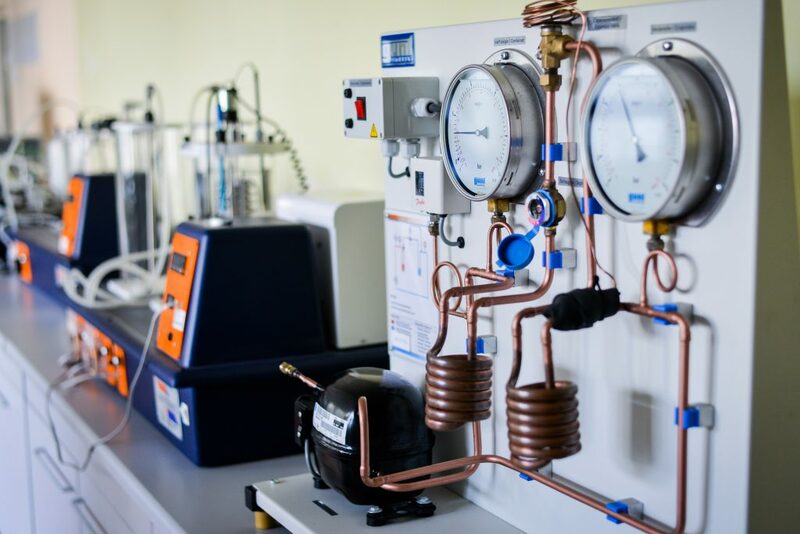 The main courses in the curriculum include Materials Science and Engineering, Mechanics of Materials, Computer-aided Design, Dynamic of Machines, Quality Management, Intro to Mechatronics and Automatic Control Systems, Management of Business and Engineering Projects , Manufacturing Technology, etc. Graduates of the Mechanical Engineering study programme can be employed as mechanical engineers in various industrial enterprises (food, chemicals, furniture, textiles, etc. ); as engineers-constructors in design enterprises; or as project managers, executive directors, or heads of departments or companies in commercial corporations. They can continue in the 2nd cycle (graduate) studies.